Guys when it rains, sometimes it really does pour - not only has it been literally raining outside all day today, my life has been a bit inundated. I decided it was time to do a coffee date vlog - so here you go - its a little on the bummer side, but if I'm being honest - this is where I am at in life right now! I mentioned my friend Kristina (Big Apple Mami) in the video - and seriously she has been such an amazing friend and encouragement in my life. I'm also really grateful for my good friend Meredith - another mama in my community who has really been there for me! I'm humbled by the community family God has provided for us in New York! And can I get your vote once more on Top Baby Blogs? I'd love to stay ranked in the top 10 in order to bring more fantastic opportunities your way! <3 Just click this link here and then the Owl on the left! Linking up with Alissa today. I'm so sorry about your carpal tunnel...I got pregnancy induced carpal tunnel and it's been a month postpartum and it's gotten worse. I just started seeing a chiropractor bc my hands are necessary with a newborn. praying for healing. Likewise Ruthy! It is an especially tough challenge when you have kids that you need to be able to hold! Hope your chiropractor helps! eek! So glad you've found support (both in "real" life & bloggy life) from Christina & others. Praying that you are healing from the inside out & will come full circle soon! 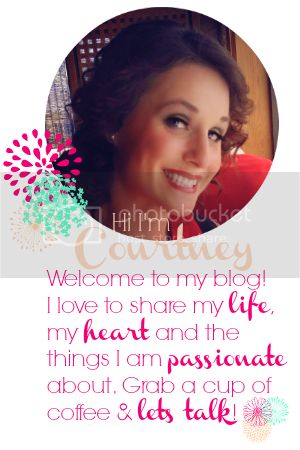 Thanks for being honest & sharing your heart, Courtney. I'm so sorry you've had a rough week friend! Praying for healing, peace and rest! love you! Sorry to hear about your carpel tunnel - but I'm glad you have a lot of support to help you. Praying for you! Courtney!! Prayers are said! And I totally just blew you kisses. You are so precious and I am so sad that you are having to deal with these crummy things. So glad you are clinging to Jesus. Keep leaning on him girl.